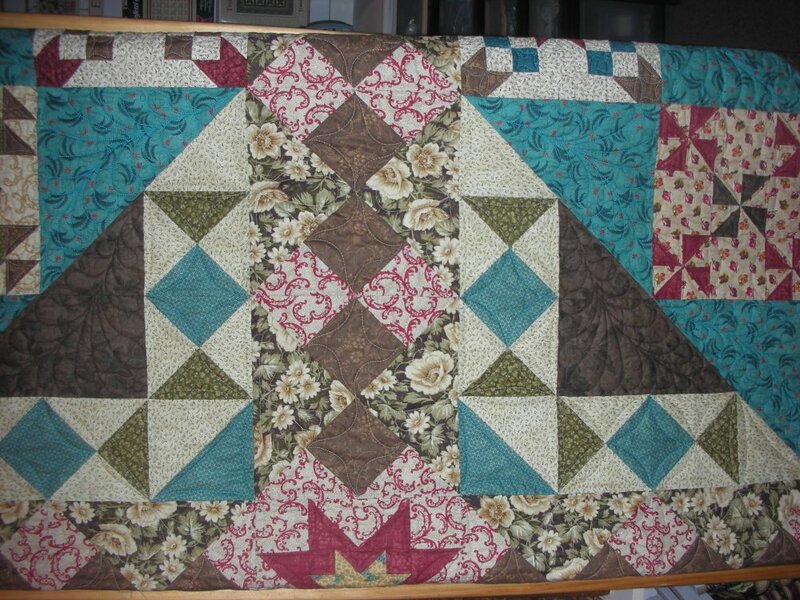 The quilt is gorgeous in teals, browns, reds and creams. You have to see it in person to absorb the colors. Windham Fabrics latest collection by Nancy Gere™ was inspired by the new 'Women of Courage' Block of the Month designed by Denice Lipscomb. The Women of Courage fabric collection has luscious floral prints, beautiful tonal blenders and a breathtaking color palette of brown, tan, red, teal and green. The 12 month BOM is special because each block from the program corresponds to a brave and courageous woman in world history. Together, they create a spectacular Block of the Month. Enjoy learning a little bit about history as you sew with this gorgeous collection. Sign up Now. Only 20 kits to sell. 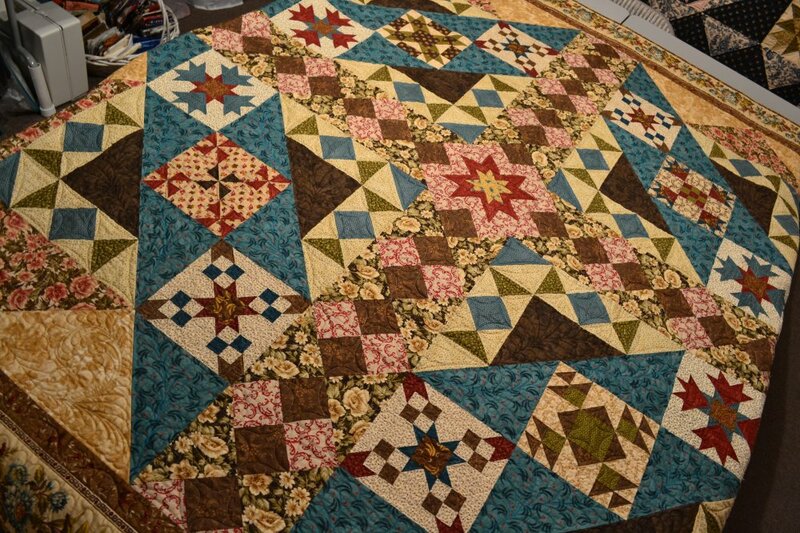 Our shop sample pieced by Karen Taylor and quilted by Bobbi Hyland. The information provided here come's from Windham Fabrics. The stories are incredible. Please read along. 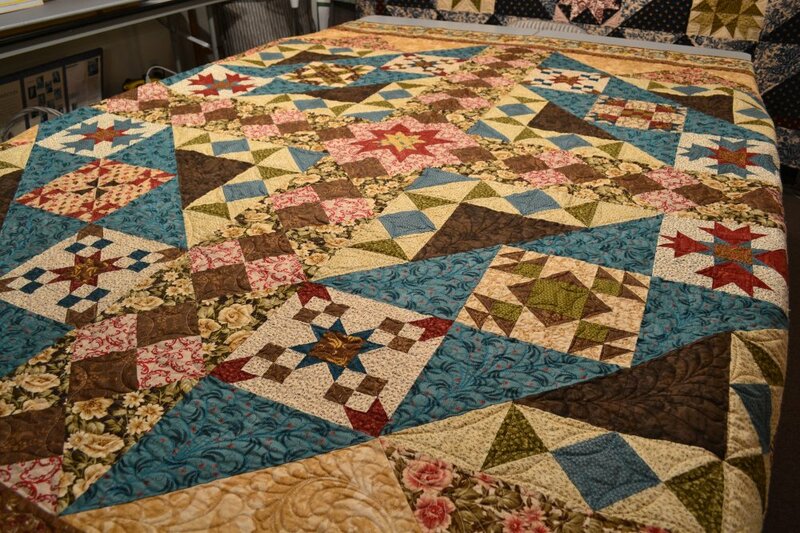 Pieced by Karen Taylor, Quilted by Bobbi Hyland, $325 in four payments quarterly with block and setting elements included in fabric kits. Sign up now.